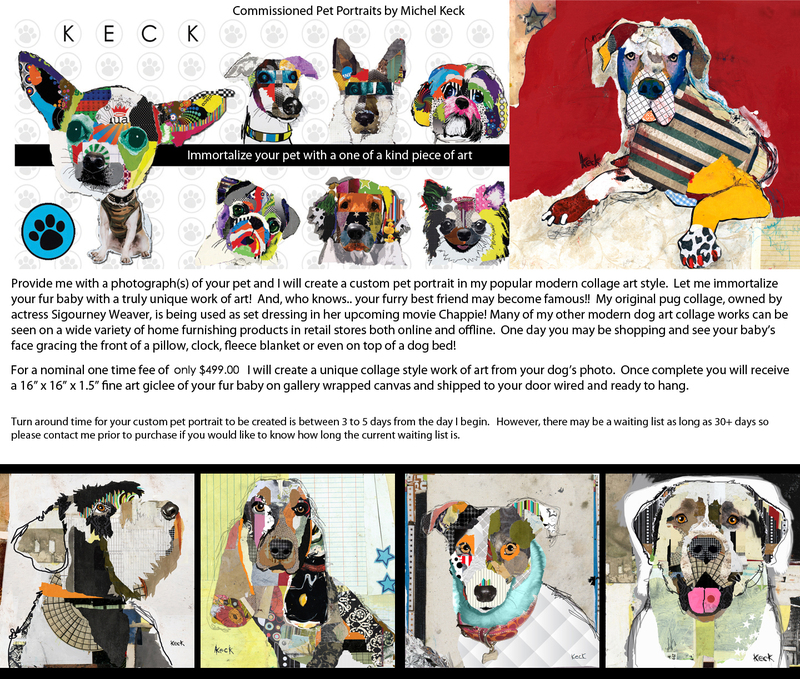 Pet Portrait Commissions by Artist Michel Keck. Immortalize your pet in a one of a kind piece of art! Unique, Modern Pet Collage Art Portraits. You are here: Home > GICLEE ART PRINTS > Dog Art Prints > PET PORTRAIT COMMISSIONS - Immortalize Your Pet in Art!